CityVoD on the CTNET allows users to select and view video from a collection of archives over the network. This technology is likely to greatly enhance the availability of multimedia information to teachers and add substantial value to the educational process. Video sessions of lectures, conferences, forums, seminars, demonstrations and course materials etc. can be recorded, encoded and stored on the media server, allowing simultaneous real-time access to the same piece of information at users' own pace from any location on campus or via ISP from home. Please visit //www.cityu.edu.hk/cityvod. This is a live video broadcast service through the CTNET network. Video is digitalized and streamed to a media server and is then delivered to individual viewers. Usually, CityLive is used to broadcast public lectures, speeches and ceremonies and allows users in remote locations to view the event. 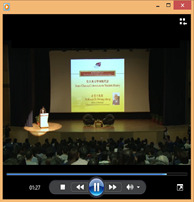 Sometimes, it is used to broadcast events from a venue to another venue in the campus allowing a large number of audiences from different venues to view the event. Please visit here if there is a broadcasting event. 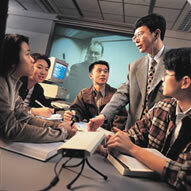 Video Conferencing is a digital means to communicate with other people through the CTNET network. It is usually used in group meetings, remote courses and overseas interviews where participants are in different location(s). Depending on the requirements, users can choose options from some highly sophisticated video conference room systems to easy-to-use web conference software. For more information on the charging scheme of the CityLive and Video Conference Service, please visit here.